Kevin Annetts is regarded as one of the most experienced and established real estate agents on the Sunshine Coast after he started his career in Nambour in 1979 with Elders Real Estate and completed his Real Estate Diploma. He has resided in the Alexandra Headland and Mooloolaba area since 1981 and is a dedicated professional with strong family values, integrity, honesty and high morals. Kevin is motivated by the excitement of helping people and his results speak for themselves. He has established a strong local following from clients that have bought and sold with him over the many decades. When it comes to understanding property values and market trends in changing times Kevin has the ability to adapt very quickly. Combined with this, Kevin's wealth of real estate knowledge from 39 years' experience and the ability to offer superior customer service is why people are continually recommending Kevin to others. Kevin spends his spare time with his family wife Toni that works in the business, son Kai 16 and daughter Mia 13. as much as possible and is President and life member of the Alexandra Headland Malibu Club, which he has been involved with since 1982, and is also a Life Member of the Alexandra Headland Surf Lifesaving Club. Most Sundays are spent at the beach surfing with his family and enjoying this piece of paradise he calls home. His wife laughs when he calls this his networking time; but many a listing and sale have been sorted out in the surf over the last 39 years. Positioned in George Street with perfect North/East aspect this is your chance to buy into this amazing address. Design your dream beach house or a duplex the choice is yours in this Medium Density Residential Zoning with a height limit to 8.5 meters, Set amongst quality homes the elevated 607M2 site captures ocean and coastal views and breezes in a never to be repeated location. Easy stroll to Alex patrolled surfing beach or Mooloolaba beachfront and all this Blue Chip location offers. Situated right opposite Alex Headland Famous corner surfing beach this prime Alex Beachfront Apartment with perfect North/East aspect capturing ocean and coastal views and breezes. Spacious open plan living and dining areas leading out to large sun drenched entertaining balcony. The kitchen features modern appointments with large bench space. There are 2 large bedrooms with a rear courtyard to give another living entertainment area. Alexandria features excellent On Site Management to capitalise on high holiday rental returns. Complex features sun heated swimming pool, mini golf course, games room area with sauna, plus security car parking. Perfectly positioned across the road from the surf and an easy stroll to Alexandra Headland patrolled beach and Surf Club, cafes and all this prime Alex Beachfront location offers. Situated in a superb Alexandra Headland beachside position on the corner of Alice and Lindsay Street is “Tamarra Terraces”. This is a quality townhouse development of only 5 in the complex with perfect North /East aspect with winter sun all day long. Regarded as the best in the complex, this is an end townhouse with large paved sundrenched courtyard entertaining area. The downstairs level has a self contained kitchen combined bathroom area with bedrooms for that possible extra income or teenagers retreat. The middle level is spacious open/plan living with abundance of natural light plenty of windows catching ocean breezes and leading to a large balcony. The modern kitchen has plenty of bench space is perfectly positioned with easy access to living and dining areas plus another balcony adjoining. The master bedroom upstairs features a good sized ensuite and built-in robe as well there is another spacious bedroom on this level. This is a rare opportunity to buy into this quality development in a blue chip location all within a stones throw to Alexandra Headland patrolled swimming and surfing beach – cafes – and all this prime position offers. Perfectly positioned on the 4th Floor of one of the coasts best resorts Seaforth at Alexandra Headland. This immaculate 2 bedroom apartment captures ocean views and coastal breezes with perfect North/East aspect. Spacious open plan living area with quality appointed kitchen, stone benchtops all leading to large sundrenched balcony overlooking pool and tropical gardens. • 4th Floor Position with Ocean Views • Master bedroom, spacious ensuite and walk in robe • Air Conditioning • Secure basement parking • Tropical oasis swimming pool (Heated and spa) • Lagoon swimming- white sandy beaches (Kids pool) • 15m Lap Pool • Fully equipped gym and Sauna • Covered BBQ and entertaining areas • Easy stroll to Alex Patrolled Beach – Cafés and Local Shops • Interstate Investor prepared to meet the market. • ALL OFFERS WANTED - DON'T DELAY INSPECT TODAY ! This is a rare opportunity to purchase this immaculate Alex beachside apartment which captures northern ocean and coastal views with a perfect north/east aspect from the large balcony and entertaining area where you can enjoy breezes, sun and views forever. The apartment features 2 spacious bedrooms, the main bedroom with large ensuite adjoining the balcony as well as capturing light and breezes. The open plan living area and dining area adjoin the modern functional appointed kitchen. There is an under cover car park as well as storage area. “Esperance” is a quality development with low Body Corporate fees, 2 street frontage with a mixture of owner occupiers and investors. This is an excellent investment opportunity or just a wonderful location to live and enjoy. The apartment faces famous George Street so it is quiet, and you just stroll down the laneway to Alex patrolled swimming and surfing beach and all that this enviable position is renowned for. Interstate Owner prepared to meet the market won’t last long – Inspect Today! Situated on one of the highest positions this modern Duplex in The Grove development at Alexandra Headland is just 800 metres to Alex Patrolled swimming and surfing beach and offering a relaxed coastal lifestyle for the professionals, young families or retirees who are eager to secure their piece of the Platinum Pocket of Alex. With an open plan kitchen opening to living area which flows to nice timber deck capturing ocean breezes and winter sun and overlooking a delightful treed back garden and rainforest backdrop. Three bedrooms (Master has ensuite) is on ground level then downstairs to two more bedrooms and a second living area ideal for the children to chillout and relax in their own area. There is two car lock up garage with internal access and remote controlled door. Just an easy stroll down the street and through the rainforest and your on Alex beach for a quick swim or surf before work Only minutes to the Maroochydore City Centre, Sunshine Plaza and the restaurants and cafe cultures of Ocean Street, Cotton Tree and Mooloolaba, The Grove's central location also provides easy access to Brisbane, Noosa and beyond. Priced to sell – Won’t last – Inspect TODAY ! First time offered to the market in 42 years, this original classic Queenslander was moved to the site in 1942 and is positioned on 1738 m2 of manicured lawns with an abundance of palms and established fruit trees and gardens. This is truly a hidden tropical oasis. The home is solid in construction with a quality hardwood structure and polished Jarrah timber flooring. Adding character is the original tongue and groove panelling and original frosted windows. The modern kitchen with stainless steel oven and gas cooking appliances captures plenty of light and breezes and leads to the massive timber deck and glorious views. The home has a wonderful feel and features 3 large bedrooms, modern bathrooms and large open plan living with plenty of dimple glassed windows for breezes and light and downstairs features another large bedroom with ensuite. There is a large open covered area for entertaining and plenty of space under this solid home for storage and room for cars, boat and trailer. This truly is a unique property with great position as its 5 minutes to Alex Beach, Surf Clubs, Sunshine Plaza, Mooloolaba Beach and cafes and only a stroll to Headland Golf Club and close to Mountain Creek Schools. First time offered to the market in 26 years this tastefully renovated townhouse in Fifth Avenue Terraces offers the perfect lifestyle in one of the most desirable locations on the Sunshine Coast – Cotton Tree with its expansive riverfront parkland, patrolled swimming and surfing beach, Cotton Tree Aquatic centre, local shopping and all this prime location offers. Situated in a private position in the secure complex the two level townhouse has spacious living areas plus good sized courtyard area. The upstairs level has two spacious bedrooms, main opens to balcony overlooking the sparkling inground pool, capturing sun and coastal breezes. Fifth Avenue Terraces has a sun drenched tropical oasis pool and entertaining areas. Full security intercom and secure basement parking. There are excellent long term tenants in place for the investor or just a wonderful part of the coast to live Situated just two blocks to Maroochydore’s patrolled beach and popular surf club – an easy stroll and lifestyle location of the very best where you can swim, surf, fish, dine, shop, play bowls plus plenty of cycle ways along the beach and river to the park and Sunshine Plaza its all within a stroll of your front door. Don’t miss your chance will be sold!. MOOLOOLABA WATERFRONT - LOCATION AT IT'S BEST! Leave the car at home as this unit is located within easy walking distance to Coles, Newsagency, shops and just minutes to the Patrolled Beach, Mooloolaba Esplanade and First Avenue to the restaurants, bars and shops. With its waterfront position and low Body Corporate fees, the property represents the perfect lifestyle or investment opportunity. This apartment has been fully renovated and offers a spacious open plan kitchen and living area all opening to front balcony looking straight down the canal. Two generous sized bedrooms with built-in wardrobes and a centrally positioned bathroom, separate laundry and separate toilet. Single lock up garage. Positioned in a quiet street of Mooloolaba, this is the perfect opportunity to secure an affordable waterfront apartment. Boasting a truly incredible outlook from the ground floor up the canal, this property is perfect for the downsizing buyer or investor. BEACHSIDE MOOLOOLABA - POSITION AT ITS BEST ! This architecturally designed, elegant executive-style family home, offers pristine contemporary living of the highest calibre in a prestigious sought-after enclave surrounded by nature reserve and close to premium schools. Presented to the market is this breathtaking Minyama waterfront family residence. Offering unsurpassed water views with over 20m water frontage, this superbly designed home embraces the very essence of the Sunshine Coast lifestyle. Space and functionality combine effortlessly to create a timeless yet warm ambiance. The open plan and extensive use of glass draws in the natural light and allows the cool coastal breezes to flow through. Positioned on 849M2 of prime waterfront this spacious open plan living encompassing the well appointed kitchen and covered outdoor area have been designed for entertaining. Seamlessly integrating the outdoors to the sanctuary within, sit back and enjoy the magnificent ever changing water views forever. The lower level offers spacious living formal dining/lounge, open plan kitchen and family area all opening to covered entertaining area overlooking sparkling inground pool and generous rear garden area. Spacious bedroom with ensuite offering private accommodation for the interstate visitors. Two separate bedrooms, laundry and double lockup garage. Upstairs is the massive master suite, ensuite and separate study or retreat all overlooking the canal with large sun drenched deck area. Surrounded by established gardens, this beautiful home is designed for the outdoors to the outdoors. A beautiful waterfront sanctuary with good aspect all within easy walking distance of the Kawana Shopping World and the new Gold Cinemas, close proximity to shops and restaurants boasting private waterfront living and ocean access with plenty of room for your own private pontoon – Don’t miss this unique opportunity Owners prepared to meet the market. Another property SOLD by Kevin Annetts and Brenda Millan! Whether your an investor or an Owner/Occupier this is your chance to buy into this fabulous Alex Beachside location. Situated on the 4th Level the well appointed apartment is fully furnished in taste and style and there is an excellent Tenant in place paying $270 per week till March. So this could be your opportunity to buy into this market with great rental returns or just a great beach pad to use as you wish. “Suncoast Resort” has excellent On Site Management – large swimming pool with extensive lawn area all positioned one street back from Alexandra Headland Beach, cafes and all this prime position offers. DON’T DELAY INSPECT TODAY – WONT LAST AT $155,000. Another Property SOLD by Kevin Annetts and Brett Hughes! New to the market, this solid brick three bedroom home is positioned on a large 700m2 block, perfect for a new growing family or investors. A neat and tidy property, which has been well maintained, with separate living and dining areas, single lock-up garage, set on a 20 meter frontage giving you ample room for side access. Situated close to all major amenities including the new development of Maroochydore CBD, easy access to the motorway and only minutes drive from several beaches, parks and attractions. A rare opportunity to own in this area, don't delay this won't last long. Perfect Riverfront Maroochydore North Facing - 2 bedroom, single garage with storage Situated on the ground floor with easy access to this spacious open plan riverfront apartment with north facing balcony capturing glorious uninterrupted river views forever. The apartment features tiled living and dining areas, large kitchen area with quality appointments and the bedrooms are tiled as well for easy care. The complex features a lock up garage and there is a glorious sun-drenched pool for you and your family and friends entertainment. The unit is currently rented at $340.00 per week to excellent tenants and their lease expires in early December. Easy access to Chambers Island, local Swan Boat Hire store and all this wonderful riverside position offers. Owners prepared to meet the market, so inspect today. A unique opportunity to purchase this top floor tastefully renovated fully furnished spacious Alex beachfront apartment capturing ocean views and perfect North/East aspect. Nothing to do here just sit back and enjoy everything this prime beachfront apartment offers. The modern well appointed kitchen with quality appliances is perfectly positioned to entertain and enjoy. High quality porcelain tiles throughout, this airconditioned apartment is arguably the best in the building – with sensational ocean views which captures the cooling ocean breezes in summer off the large sundrenched full length entertaining balcony. Take advantage of high holiday letting income from excellent On Site Management or choose your own options for the apartment. Headland Tropicana is more like a four star resort boasting an indoor heated pool with spa, a large oasis lagoon style pool, sauna, half size tennis court, games room area, landscaped BBQ and entertaining area and secure undercover parking. Perfectly positioned and only a short stroll to Alexandra Headland and Mooloolaba patrolled swimming and surfing beaches, cafes, restaurants and all this fantastic beachfront lifestyle offers. TO BE SOLD BEFORE OR AT AUCTION! Prime Blue Chip Buderim real estate at its Best. First time offered to the market in 40 years this will be a unique opportunity to purchase one of Buderim’s original perfectly positioned homes on 1012M of level land. Situated in a superb location with 2 street frontage to Tindale Avenue and Gloucester Road. 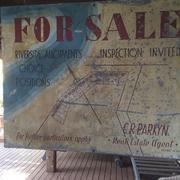 This is your chance to acquire a part of Buderim history. A charming feel of yesteryear with French windows, lead lights, classic VJ walls and ceilings, solid hardwood timber flooring and sun drenched sleepout capturing plenty of breezes. With three spacious bedrooms plus a study and good sized living areas all capturing plenty of light and a relaxed feel. Original kitchen loads of bench space with gas cooking, plenty of open area to renovate to your style if you desire. This is one of those once in a lifetime opportunities to build your new dream home or keep the original homestead in this superb Buderim location all within 800 meters stroll to Buderim Village, shops, café, bowling club and Buderim school. A UNIQUE OPPORTUNITY INDEED NOT TO BE MISSED ! Perfectly situated in without a doubt one of the best streets in Mooloolaba, this immaculate family home has been tastefully renovated in style with superb finishes and modern appointments throughout. Modern chefs kitchen, stone bench tops, gas cooking, stainless steel appliances. Kitchen leads to expansive living areas with timber flooring opening to outdoor entertaining areas with plenty of room to design your own pool and extensions on the level 960m2 allotment. There are 4 spacious bedrooms with a separate parents retreat featuring large double shower ensuite bathroom and walk in robe. There are good sized living areas one being used as a media room with the other leading to the outdoor entertaining area. The home features security video alarm system and a double lock up garage and plenty of storage. There is also the benefit of a side access gate for any future improvements you wish and the slight possibility of future subdivision. All within and easy stroll of Mooloolaba patrolled surf beach, Surf Club, local school and café s Wharf of just over the hill to Alexandra Headland patrolled surf beach.INSPECT AND MAKE AN OFFER TODAY ! Let’s list the facts - A Flat Block with views around the compass, In the ever popular prime location of Alexandra Headland, 600m walk to world class beaches and cafes with a quaint little 3 bedroom solid beach shack to call home Make no mistake, this 607m2 of elevated Alex heads real-estate is a fantastic opportunity from all walks of life to grab a hold of and call their own. Potential to extend or an excellent investment property with strong rental returns to land bank for your future re development. Perfectly positioned opposite Kawana Surf Club rare once in a lifetime chance to purchase this two level beachside home with excellent frontage to the street and 567m2 of level land to create your own unique beachside retreat. Your choice to renovate the solid two level 3 bedroom home with 2 separate living areas and large deck all capturing ocean views and coastal breezes. Currently rented at $600 per week until May 2018 imagine designing your own brand new beach house directly opposite the patrolled swimming beach. Easy stroll to Kawana Shopping World, currently under major expansion and redevelopment, cycleways and walkways and all this beachfront position offers. Position at its best so don’t miss your chance – IT WON’T LAST. t.
This is your chance to purchase this tasteful completely renovated family home with absolutely nothing to do. Spacious, open floor plan with modern gourmet kitchen with plenty of bench space and large walk in pantry all close to 2 living areas. There are 3 large bedrooms with a 2-way modern bathroom plus an extra toilet. An extensive outdoor entertaining area which is fully covered from those ocean coastal breezes and with perfect North/East aspect capturing sun. The extensive landscaped gardens are easy to look after and features a garden shed and another seating area to enjoy in privacy. There is the benefit of extra off-street parking for your caravan or motorhome, extra car or a boat. Only a short stroll to Mooloolaba patrolled swimming beach, restaurants and cafes, parks, cycleways, local school - plus you are located within the mountain creek school zone and walk down the street and put your ski or canoe in for a paddle. This is entry level buying in this prime Mooloolaba beachside location. Don’t delay, inspect today. Perfectly positioned in a quiet street in a prime Mooloolaba Beachside location is this amazing completely renovated family home. The elevated two storey home captures breezes from every direction, features classic hardwood flooring – modern kitchen with upmarket appliances adjoining open plan living /dining areas leading to two wide covered decks. The extensive entertaining decks adds another dining and sitting area capturing the breezes and overlooking the pool and tropical landscaped oasis garden. Upstairs also features two spacious bedrooms and beautiful bathroom with separate bath and shower. Downstairs area has two large bedrooms another modern bathroom which is an ideal teenagers retreat. The scent and year round display of gingers, heliconia’s, spider lillies, citrus trees and frangipani is amazing sitting poolside anytime of the day or evening. Watch your favourite movie, read or study in the tranquillity of the pool house. The double lock up garage has additional room for surfboards, fishing gear, and has an epoxy coating floor to keep it clean and tidy. Easy stroll over the hill to surf at Alexandra Headland and a level walk to Mooloolaba Esplanade cafes, shops and all this amazing location offers in this perfect lifestyle. Kevin Annetts has sold two properties for my wife and myself in 2017. Kevin was so easy to deal with and made both sales a very pleasurable experience. His friendly, no pressure approach was a very refreshing and his total professionalism was a breath of fresh air compared to some of the agents we have dealt with in the past. If you are considering selling any real estate I would highly recommend that you talk with Kevin before you consider any other agent to market your property. 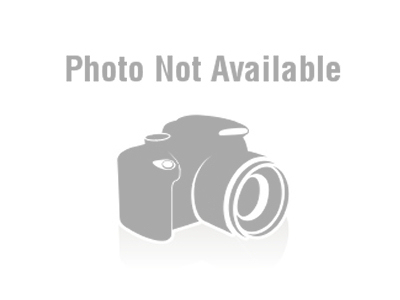 Myself and Penny would like to thank you for the professional manner in which you marketed and sold our home. From our first meeting ( prior to listing) to settlement, we were always punctually and fully informed of every stage of the sale process. Most impressive was the fact that you called the afternoon of every open home to inform us of the activity and the thoughts of the potential buyers. The communication with ourselves was first class despite us being overseas for the greater majority of the sale campaign. It was indeed a pleasure to sell through a professional agency who made every step of the process hassle free. Your in depth knowledge of local property market was a key factor in us appointing Kevin Annetts Property and we have no hesitation in recommending you to vendors or purchasers alike. Many thanks and wishing your agency every future success. 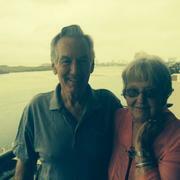 In 1987,Kevin Annetts helped us to find a family holiday unit in Alexandra Headland. We continued to see Kevin from time to time over the years. Therefore, it was an automatic decision for us to contact Kevin when we decided to sell. Kevin and his team , especially Brenda Millan, were very professional . They worked hard for us to achieve our desired result – the sale of our unit. This was an emotional time for us . It was hard to say goodbye to a place where we had created many happy family memories. The team was mindful of this and helped us with their caring manner. We recently appointed Kevin to sell our property for a number of reasons... the result was the property was sold in 12 days for a figure more than we were expecting. Kevin has been the leader in this industry for decades and not only knows every property in Mooloolaba, but is extremely well connected with the people of the sunny coast and its' buyers. If you are tired of not being able to trust real estate agents and their 'agendas'...Kevin is your guy! He is genuinely committed to getting the best result for you as the seller, and we cannot recommend him enough. This subdivision is the first land release between Mlba and Caloundra. Our kitchen table was used to roll out the map under a tree . From memory, land sold for around 700 pounds a block. My dad bought the 160 acres in 1942, after the original owner decided not to continue to pay rates to the Landsborough Shire Council. I think the price paid for the land was 25 pounds in total for all land to high tide mark between Mc kenzies bridge and La Balsa, across to the surf beach high tide mark. Cyril sold half to Arthur a couple of years later. 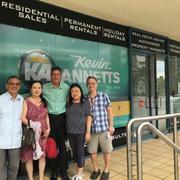 When I decided to sell my investment property in Mooloolaba, my sister who has lived on the coast for 33 years suggested that Kevin Annetts was renowned for his deep understanding of the market and for his reputation for delivering the best mutual outcomes for the seller and the buyer. I chose Kevin to market and sell my property. He delivered exactly the experience that my sister said he would. The entire process, from the beginning to the final settlement was seamless, professional and most of all, extremely rewarding. Kevin’s open and honest communication style was refreshing. He demonstrated an enormous amount of care and consideration for my tenant throughout the sale. Kevin gained my confidence from our first discussion and retained my confidence throughout the sale. I have bought and sold many properties over the past 20 years and I would rate my experience with Kevin as one of the very best. Kevin over-delivered on every part of the process and most importantly, obtained the sale price that I asked for. I would recommend to anyone who is considering selling their property, to make your first call to Kevin Annetts. Lifelong clients and great friends since first buying property in Alexandra Headland and Point Cartwright in 1988 and 1989. Left to Right: James Cheah, Grace Cheah, Kevin Annetts, Nancy Choi and Tony Choi. James Cheah, Grace Cheah, Nancy Choi and Tony Choi. Our first dealings with Kevin were back in 2003 when we were wanting to purchase an investment property in Alexandra Headland. Upon meeting him, we were impressed by his knowledge of the local area, his thoroughness and his calm "no pressure" personality which put us immediately at ease. He listened to our requests and didn't waste our time by showing us properties that "didn't fit the bill" and in a minimum of time and with a minimum of fuss he had shown us a property that we were very happy with and we had signed on the dotted line. When it came time to sell that property in April this year, we once again enlisted Kevin's services and once again his expertise and thoroughness ensured we achieved a quick sale, also achieving a sale price that we were very happy with. We also had a second property that we wanted to put on the market in July this year. At that time though Kevin was in the process of setting up his own property agency and was not in a position to be able to market the property for us. We were keen to sell and could have listed with another agent, but knowing the success we had experienced with Kevin in the past, we were more than happy to hold off for the couple of months it took for Kevin's new business to become fully operational. Once again we were not disappointed, with Kevin's marketing campaign achieving another quick sale and achieving a selling price that we were very happy with. Kevin's attention to detail and level of service really is second to none and he is always willing to go that extra mile for his clients to ensure that they are happy with the end result, whether they be buying or selling. Having been self-employed on the Sunshine Coast for over 20 years we understand the value of good customer service and of listening to your clients' needs and wants and we could not recommend Kevin more highly. We purchased a unit through Kevin in December 2000. Now 15 years later he has sold it for us. Thank-you to you, Kevin, and your staff for an efficient sale. Best wishes for a successful new business. Image to the right is a Questionnaire completed by Brian Ashmore based on his experience dealing with Kevin Annetts of Kevin Annetts Property. Blank answers are due to Brian living in New Zealand and therefore they are not applicable. My Real Estate career started when Ron Hicks employed me in my first position as a salesperson. Ron then went onto provide me with great knowledge, excellent training and ethics in the industry. I stayed with Ron for some years before moving down the Coast to join Ray White Alexandra Headland, before franchisees came in. Ron is still trading as Keyline Realty in the same location today. 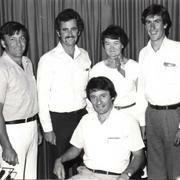 Photo (Left to Right): Bob Dall, Trevor Elliott, Rob Hicks (principal), Barbara Banks and Kevin Annetts. In October 1989 Ngaire and I visited Maroochydore in order to evaluate the possibility of investing in a property on the Sunshine Coast. We contacted Kevin Annetts, who at that time was working for the Maroochydore office of a national real-estate organisation. Kevin spent a lot of time and effort showing us various properties which were on the market and he could not have done a better job. He listened to us, heard what we were looking for and didn’t waste his, or our, time showing us properties which didn’t fit our criteria, with the result that, with Kevin’s assistance, we purchased a comfortable unit in Banyandah Towers which has met all our requirements for the past 26 years. When we recently contacted Kevin seeking his advice he again willingly provided us with all the information we needed, despite there being no personal gain for himself. His service, advice and courtesy was outstanding, totally professional and could not have been better. We have absolutely no hesitation recommending Kevin to anyone considering purchasing or selling property, particularly in the Sunshine Coast area. His knowledge and experience is invaluable.